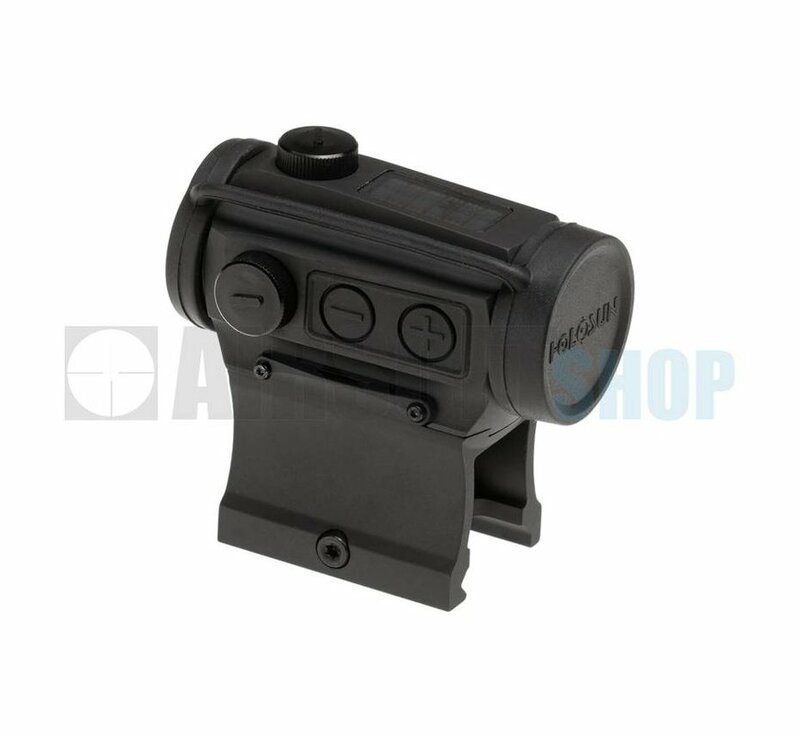 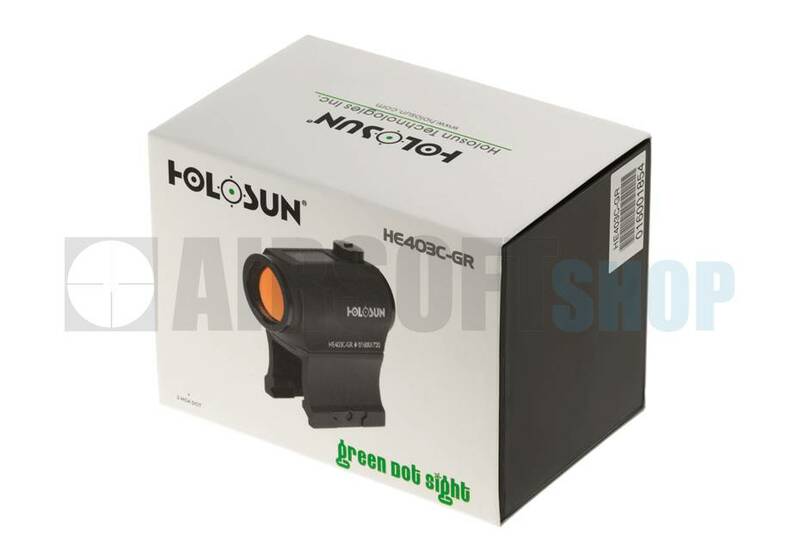 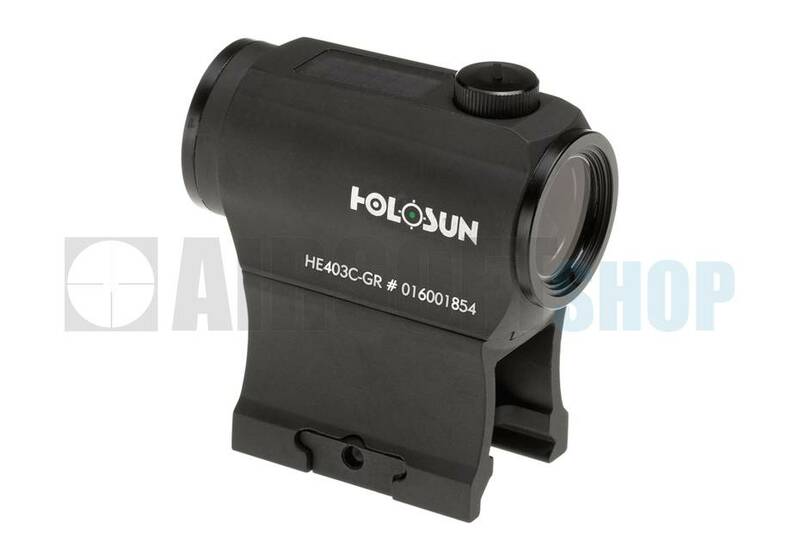 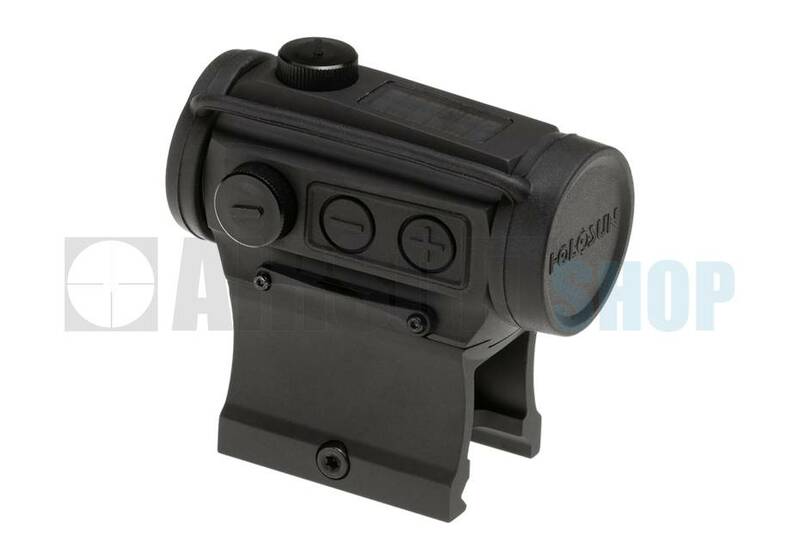 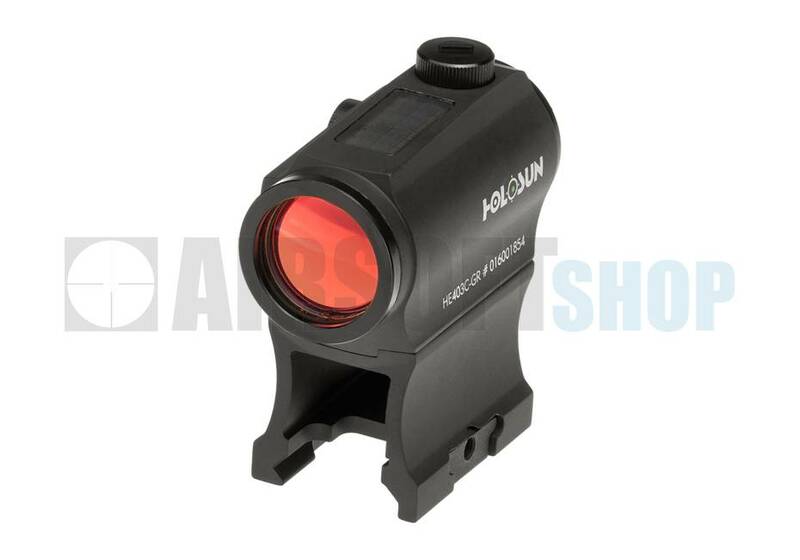 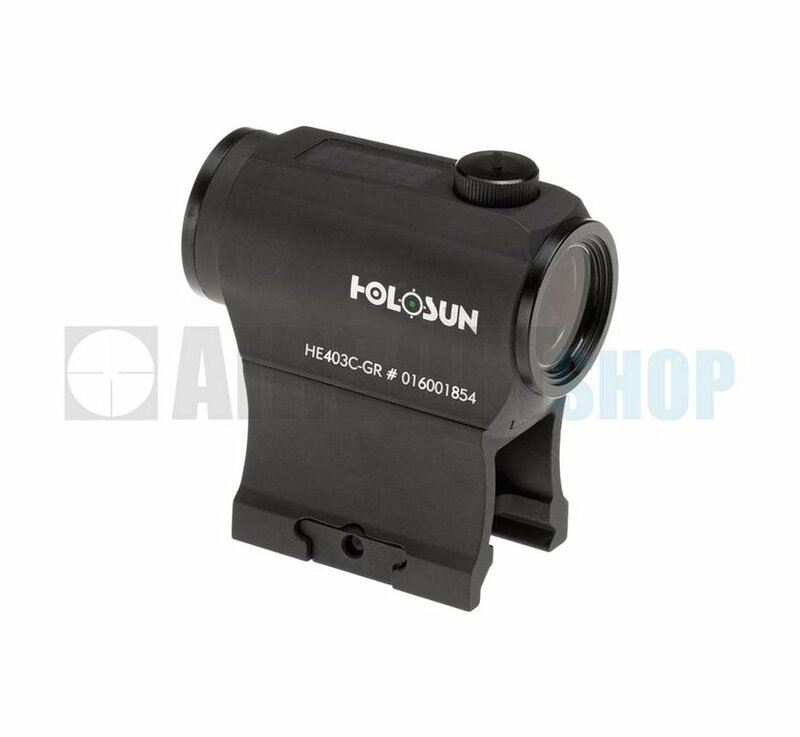 Holosun HS403C Elite Solar Green Dot. 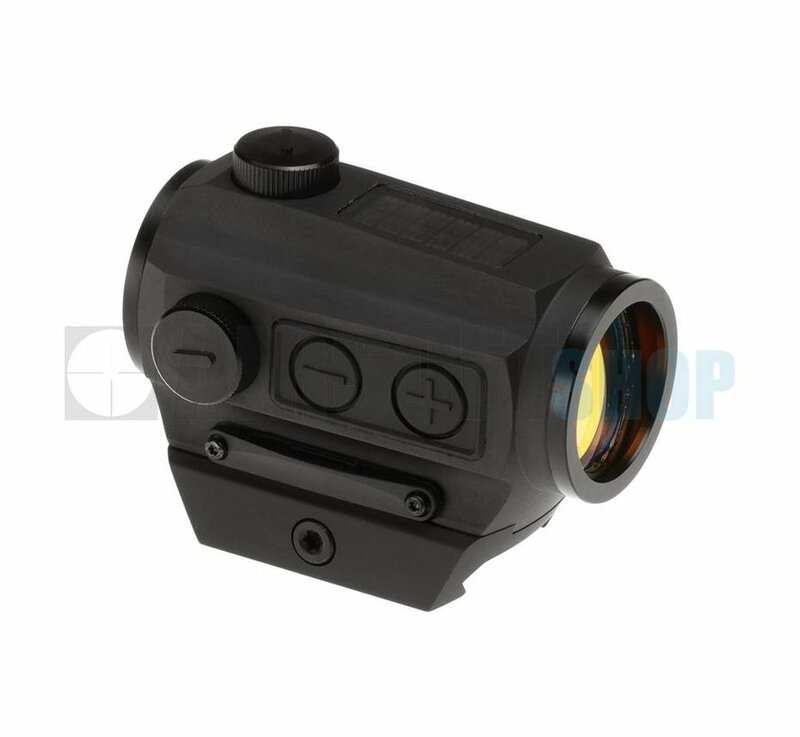 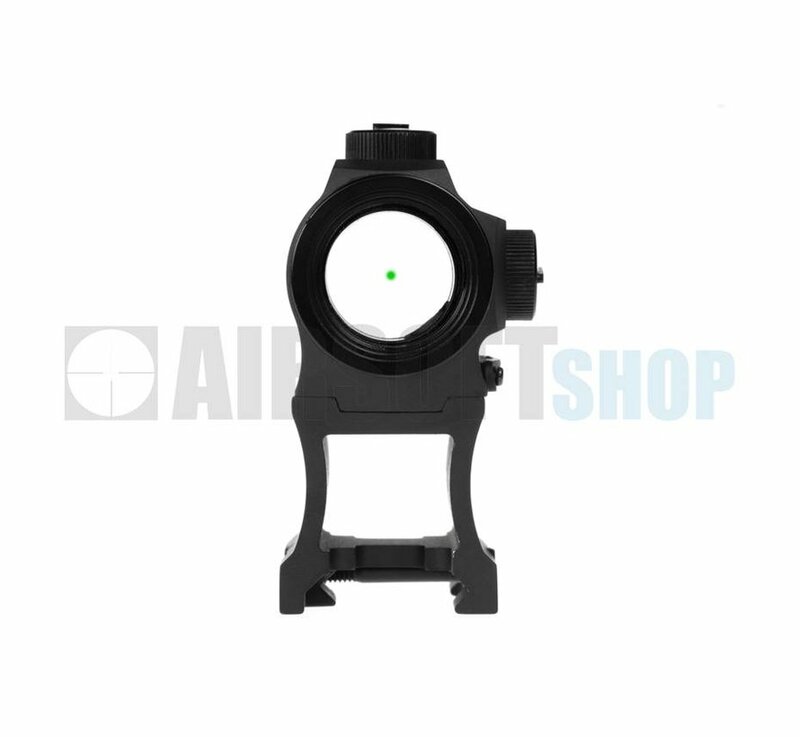 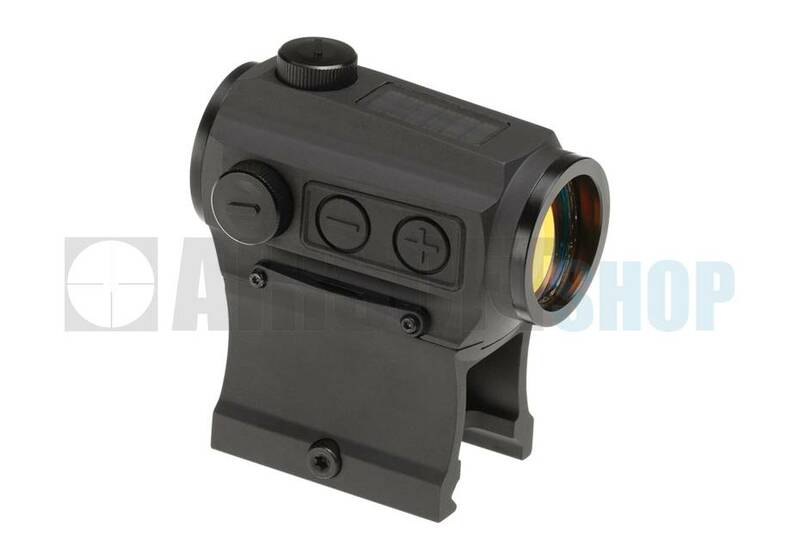 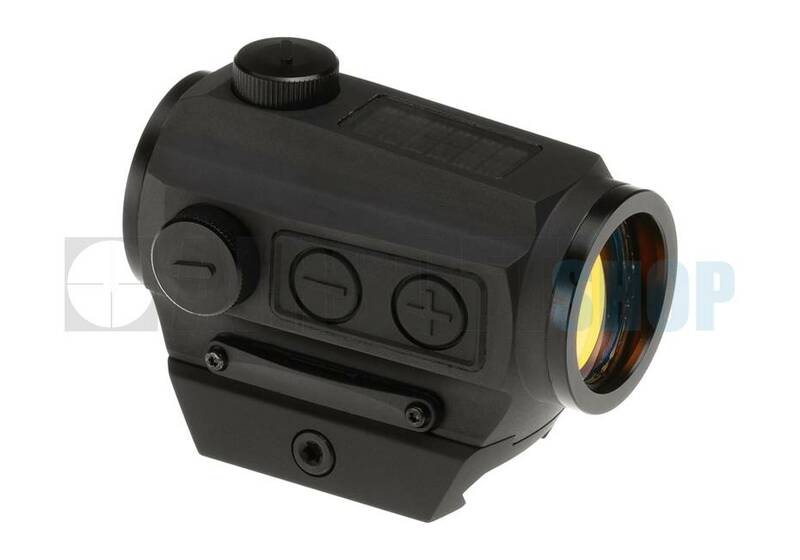 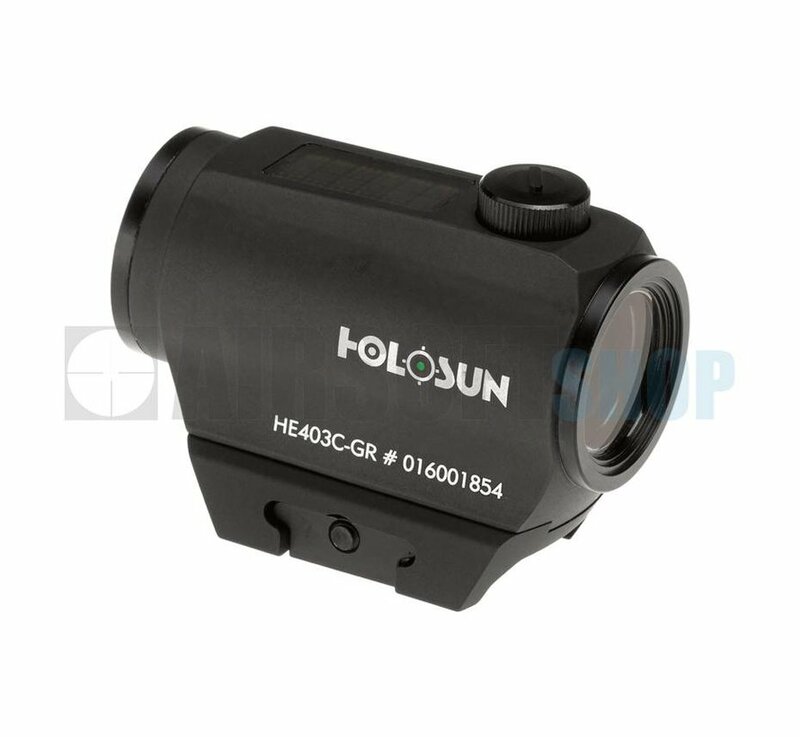 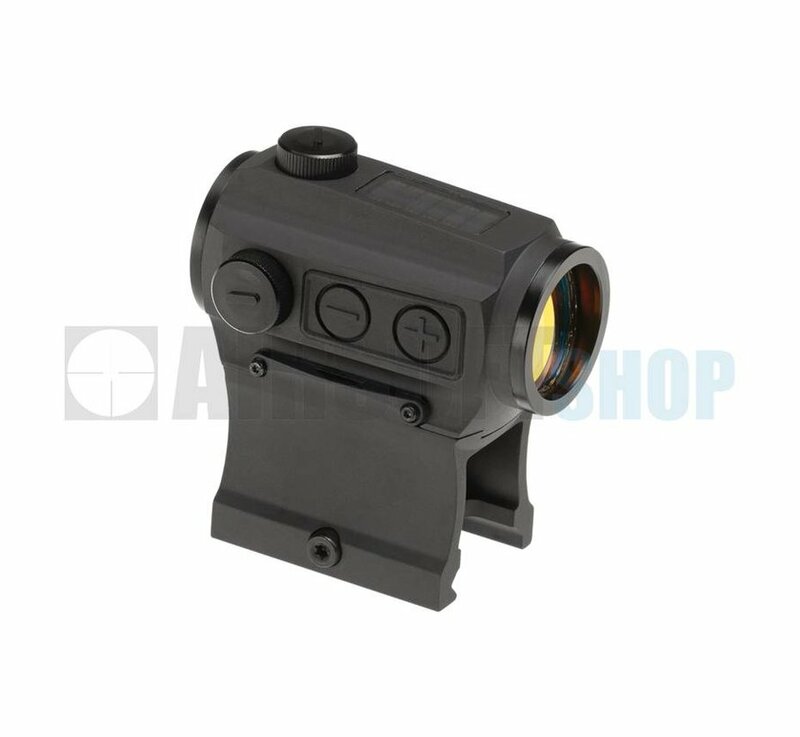 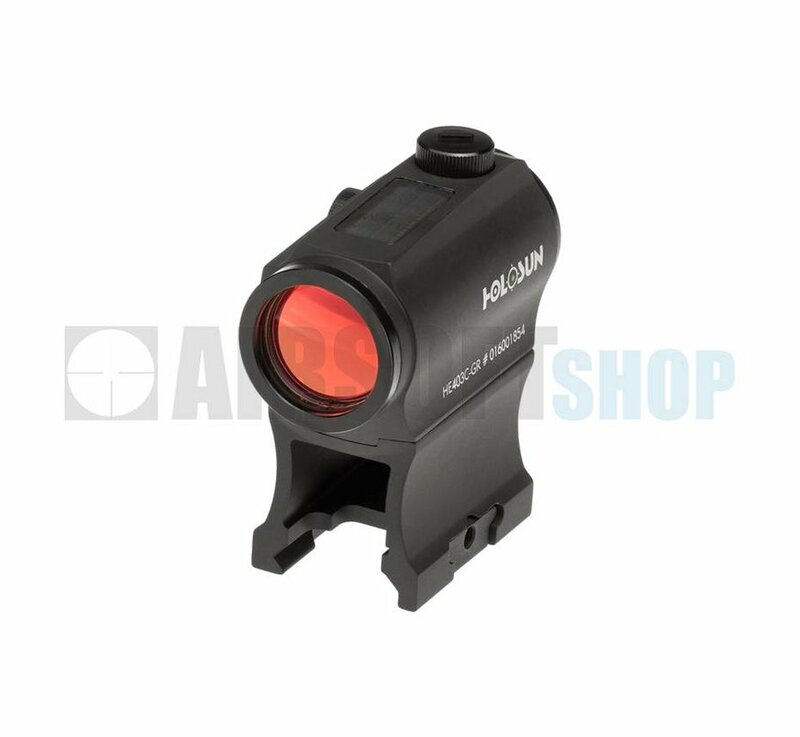 The HE403C-GR Elite is our new green reticle, solar version of the extremely popular HS403C red-dot. 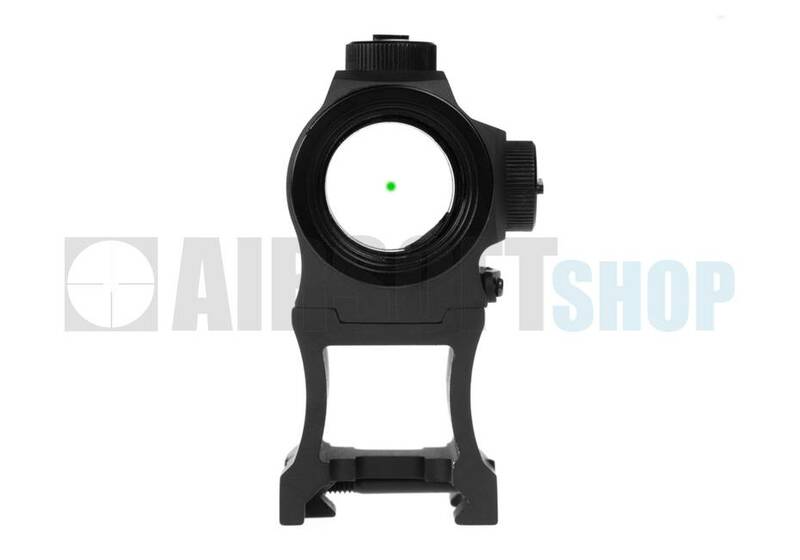 It features a crisp green 2MOA dot. 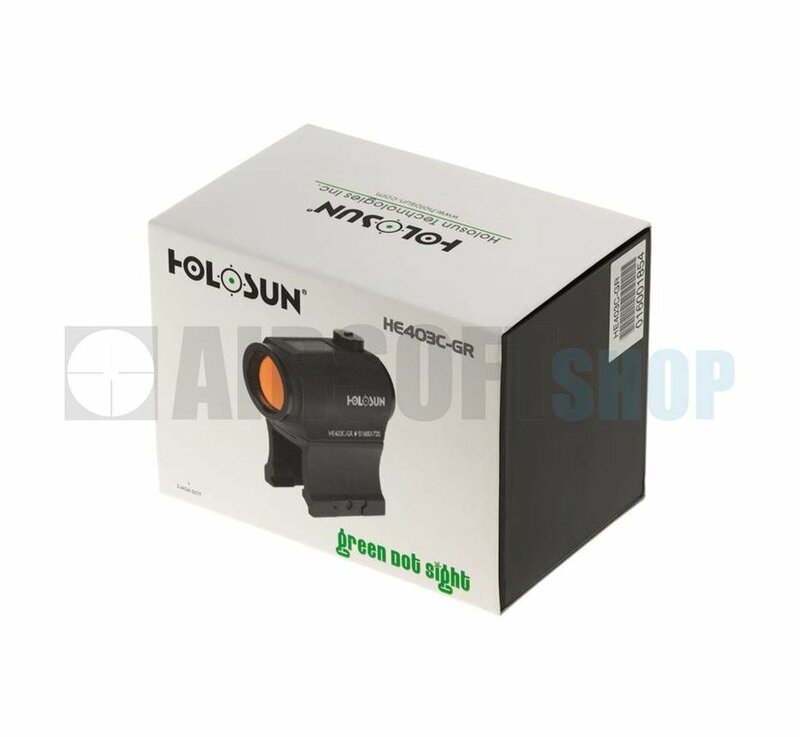 Our highly efficient light emitting diodes and solar cells allow Holosun solar optics to run without a battery in many lighting conditions. 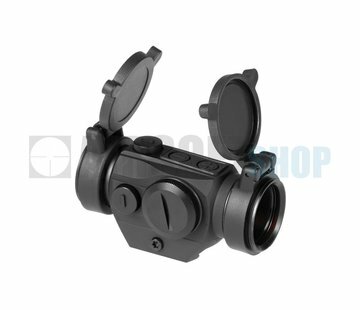 Additionally, the CR2032 battery lasts up to 5-years. 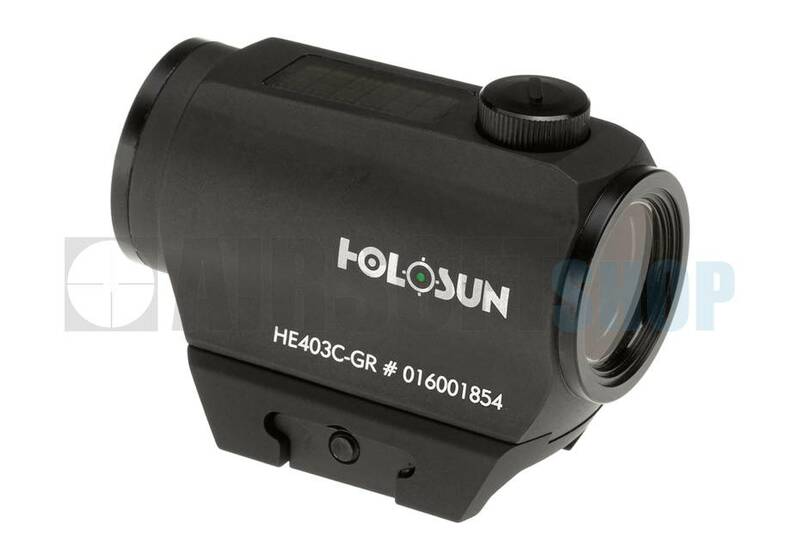 The HE403C-GR Elite is compatible with industry standard mounting solutions.